The dedicated truck and SUV lineup of GMC is as popular today as it has been throughout the decades. The Sierra, Canyon, Suburban, and Acadia are just a few of the vehicles they build. Even though they promise unparalleled strength, style, and comfort, there can still arise a need for repairs from time to time, and regular maintenance will always be needed. See Precision Automotive Services for quality, timely repairs at affordable prices. Precision Automotive works on all GMC trucks and SUV's whether new or new-to-you. 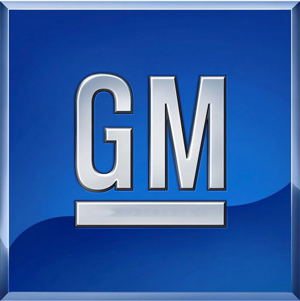 All GMC vehicles receive GM Original Equipment, ACDelco, or factory-approved aftermarket parts and fluids at every visit. Offering repairs on all models including Envoy, Savana, Sierra, and Yukon, Precision Automotive Service will exceed all your expectations. Our ASE-Certified technicians have the training and expertise to handle all repairs from the smallest piece to the most intensive engine and transmission work you may need. Your GMC is built to last, however regular maintenance is required to make it last. Trust Precision Automotive Service's team to maintain your GMC according to the manufacturer's schedule. The team at Precision Automotive Service are your GMC service and repair experts in Sacramento, Elk Grove, and surrounding communities. Call our friendly staff or use the online appointment form to book a convenient appointment today!